Scoring a Win For Fantasy. Fantasy sports gaming is gaining steady momentum with players. FanDuel and Draft Kings lead the industry as the two largest gaming sites. In order for FanDuel to capitalize on the growing interest in fantasy gaming and distance itself from Draft Kings, it needed to hit the market with a distinctive and innovative campaign and site experience. FanDuel turned to Questus to launch the digital arm of an immense national campaign and site experience to drive awareness and trial of FanDuel fantasy sports gaming. Most of our target audience plays fantasy sports regularly but is completely unfamiliar with cash-winning fantasy sports contests. They perceive fantasy gaming as more complicated than seasonal fantasy sports. This subtle but important difference drove our strategy. We started by completely breaking down the notion that fantasy gaming was complicated or difficult. All messaging revolved around game mechanics to illustrate ease of play. In addition, we drove a rigorous testing strategy to surface winning copy, CTA, and imagery across all digital media. 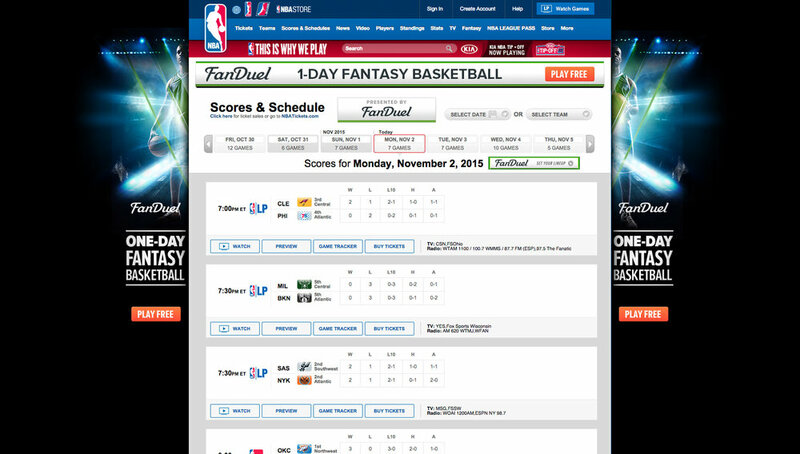 Concurrently, we revamped the site experience to separate FanDuel from its competitors. Using a responsive architecture, the site content was reordered and optimized to drive conversions. Through imagery and copy, we positioned FanDuel as a trusted and sophisticated brand. Our efforts positioned FanDuel as an upscale and upmarket brand, distancing itself from Draft Kings.